Ideal for couples who want convenience and comfort in one place. For families or groups, equipped with everything you need to feel at home, and with a terrace to relax. Newly remodeled room with all the amenities and comfort of a luxury room. 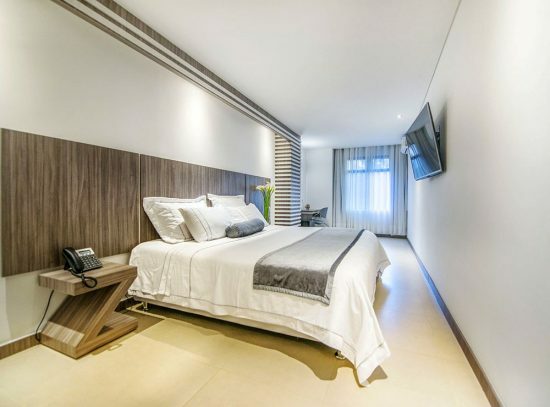 Hotel Torre Poblado is located in the city of Medellín, recently cataloged as the most innovative city in the world, called the City of Eternal Spring.being its best option among the hotels in Poblado Medellin. We offer a modern system of accommodation, in an atmosphere of rest and well-being. 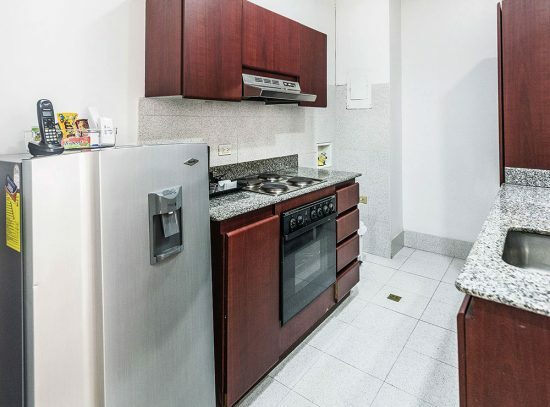 We have 42 luxurious Aparta suites of 30, 55 and 75 m2 in Nightlife Zone of El Poblado, close to Parque Lleras and the commercial and financial area of the sector. Free! Private parking is possible on site (reservation is not needed) and charges are applicable. Pets are allowed on request, surcharges apply. 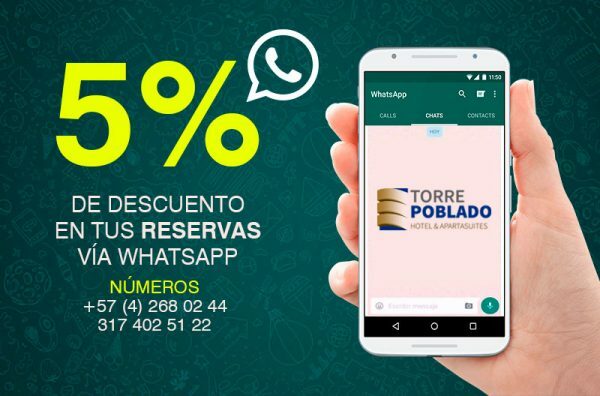 Booking vía Whatsapp and enjoy a 5% discount on your accommodation. Located in the best area of Medellín, in the Nightlife Zone of El Poblado, near Parque Lleras and the commercial and financial area of the sector. 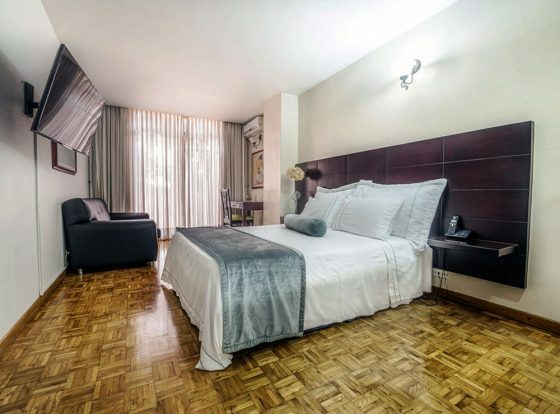 The Hotel Torre Poblado is ideal for your stay in Medellín, as it has a strategic location in the Zona Rosa del Poblado, near the Parque Lleras and the commercial and financial area of the sector. 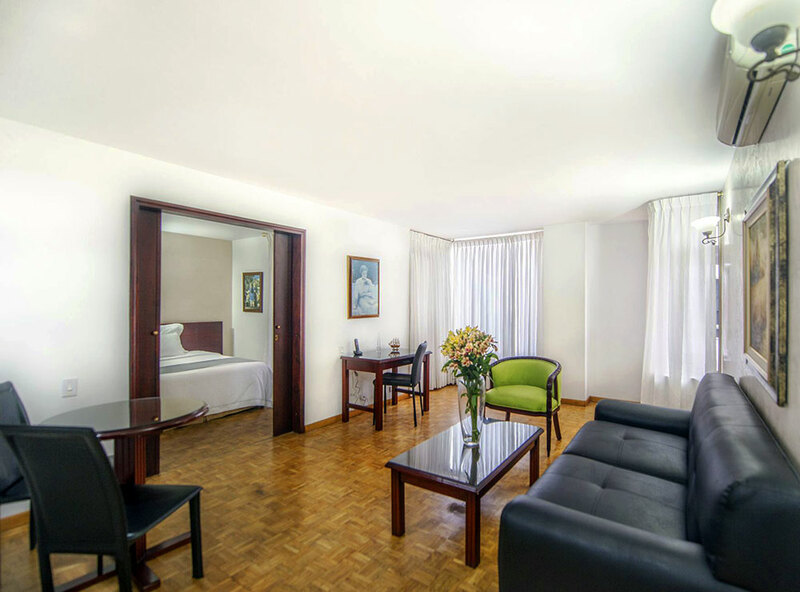 It is a pleasure to put our facilities at your disposal and make your stay a pleasant time to want to return.